This morning in The Wall Street Journal, I learned about a new feature on Mint.com, one of the "best web sites of 2009". Immediately, I was thinking about our Psychology, Economics, and Business classes, especially the budget exercise which they complete. Here's a free, award-winning, real world application. Mint.com's site provides a further overview and offers several explanatory videos, including one on Budget Tips for College students. for electronic texts and the technologies behind them. See also The Revolution is Coming: Consumer Tablets and E-Learning. The highlight of my day was watching a Ustream of the Learning Tools Smackdown @ISTE (hosted by Joyce Valenza & Gweynth Jones representing the Media Specialists SIG.) where I simultaneously followed the Twitter feed. Feeling like a fly on the wall I was able to get a feel for the conference and learn from educators across the country who have a shared vision and are willing to communicate. In about 90 min. I did some notetaking and was amazed to find that I had accumulated 11 pages of ideas on how others use various social media tools in the classroom. Many tools were familiar to me because of my use of Twitter. One which was new to me was Wordia where teachers can create a free account and encourage students to explore the connotation through the familiar medium of video.Here are some of the visual definitions developed in June 2010. From the Wordia website: "Wordia.com is a high-quality online dictionary: a professional authoritative textual dictionary but with one big difference...[it] allows users to search for the spelling, meaning and etymology of a word but what makes Wordia unique is the ability for users to explore the personal connotation of word through video. Wordia is a collaborative resource: anyone can explore the meaning of a word and more than one person can explore the meaning of same word. Where we have more than one video definition for the same word, we rank them, so the community can vote on their relevance.You can bring words to life and explore the personal connotations of a word in anyway you chose. Filming styles such as rap or comedy, poetry or performance are a cool way to express yourself." I can imagine that English teachers would be excited to use this tool to develop vocabulary in difficult texts. 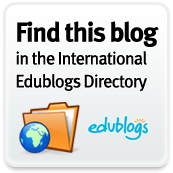 Dennis O'Connor maintains a Keyword Blog for the 21st Century Information Fluency project. The material on search patterns is illuminating. You may want to enroll in the self-paced online course: Investigate Searching 20/10. I also discovered the worthwhile article How to retool yourself--a roadmap of at least 16 ways by Joyce Valenza . Once again, everything I find and share comes from following amazing educators/librarians on Twitter. If you haven't started to set up your Personal Learning Network using Twitter, there is no better time than now. Play with the basic Twitter interface for a week or two and then do yourself a favor and download the Tweetdeck when you are ready to get serious. This does URL shortening automatically and has other user friendly features. (see a previous post re: Tweetdeck). 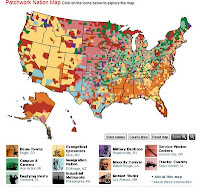 If you are interested in demographics, spend some time exploring "Patchwork Nation" from pbs. This self-described "reporting project" divides America's 3000+ counties into 12 community sites. Click on the tabs underneath the interactive map to see distribution on education (e.g., % of adults lacking basic literacy, high school grads, college grads) or "culture" (counties with gun shops and dealers or Whole Foods outlets) or any of several other categories. Even more interesting are the overlays you can create under the compare data tab. An impressive list of partners have contributed to the site and some of its accompanying stories. 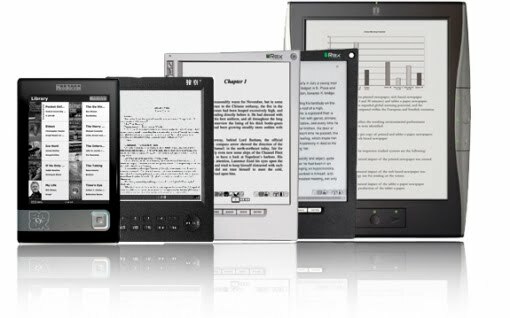 As the price wars for eReaders are heating up, a Wesley College released findings from its project exploring the potential of e-texts and e-readers as a viable technology for educational settings, and for reducing printed materials and waste. They studied eReaders with linear text only, not the new iPad. Between April 2008 and November 2009, they investigated how the e-Reader and e-text adoption would influence the publishers and distributers, inquiring into whether publishers and distributors would to adopt models which are practical for the K-12 school market. They found that older readers were "significantly more engaged with and accepting of the e-reader device than younger readers". 1) Digital Rights Management issues are embedded in many of the transactions related to purchase in general. State education departments must get involved with developing e-text access for text book delivery. Consortia models for e-text delivery to schools should be developed to ensure that e-texts are an affordable option for schools. Favitt is a multi search engine in that it provides links to different engines via tabs (Google for websearch, Images are pulled from Bing, YouTube is available, there's Amazon, Wikipedia, etc. You can have up to 6 immediately tabbed and available with more available in a drop down menu. The new functionality also allows you to add your own tabs for your own choice of sites - such as getting Favitt to search *your* site (via Google's index, which is the only drawback). Click here to view the New Trier page I made. I agree with Phil that it's a "really neat idea, and well executed". How do we ensure that our students have the ability to search, sift and know? “The abil­ity to know has sud­denly become the abil­ity to search and the abil­ity to sift” and dis­cern. “Skill plus social” is the key. How do we teach critical and focused attention when students are mul­ti­task­ing more than ever before? Farhad Manjoo argues in, True Enough, Liv­ing in a Post-Fact Soci­ety that our citizens increasingly accept as true any­thing which is said loudly enough, repeated often enough and cir­cu­lated widely on the Inter­net. Silicon Valley social media strategist JD Lasica offers suggestions for increasing online media literacy. We need to teach our students not only to use reliable news media, but also to fact check when they use blogs, Wikipedia, or alternative media publications. Check multiples sources and international coverage. Crowd source your fact checking on Twitter and also use New­sTrust, a news lit­er­acy tool which harnesses a bipar­ti­san com­mu­nity of news eval­u­a­tors who make judg­ments to deter­mine bias and unver­i­fied fac­ts. • Factchecked.org pro­vides edu­ca­tors and stu­dents with a frame­work for ana­lyz­ing infor­ma­tion and avoid­ing decep­tion in the media. • FactCheck.org, (Annen­berg Pub­lic Pol­icy Cen­ter) focuses on polit­i­cal bias in the news. • Media Mat­ters for Amer­ica -a non­profit pro­gres­sive research and infor­ma­tion mon­i­tor­ing, ana­lyz­ing and cor­rect­ing con­ser­v­a­tive mis­in­for­ma­tion in the media. • Fair­ness and Accu­racy in Report­ing (FAIR) is one of the longest-running media watch groups mon­i­tor­ing media bias and censorship. • Metafil­ter and sim­i­lar com­mu­nity sites offer robust dis­cus­sions of cur­rent events. • Twit­ter Jour­nal­ism (“Where News and Tweets Con­verge”) pub­lished a series of steps to ver­ify a tweet, includ­ing check­ing the his­tory of past tweets to check con­text before retweet­ing a claim about a news event. • Ques­tion­ing Video -under­stand the vocab­u­lary of visual decep­tion that can be used to dis­tort TV news. Check out Howard Rheingold's wiki resources related to critical thinking and Internet literacies. Microsoft's search engine, Bing, has teamed up with Rheingold to create a curriculum - free eBook! 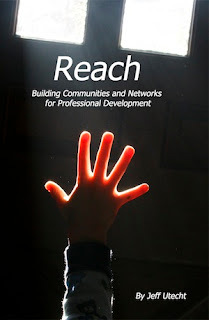 Jeff Utecht's new book Reach is now available online as a free download. This book is a primer on how to join online communities that will meet your professional interests. Learn how to use Twitter to create a Personal Learning Network and ways to connect with students using Facebook to engage them in learning beyond the classroom. Very few of our classrooms are teaching students how to consume and produce information using a web environment. Utecht argues: "If we are to teach our students to become prosumers of information in today’s connected digital world, then we need to understand and become prosumers ourselves". This 103 page document provides newbies a way to get started by growing a PLN and making it work by connecting and sharing. In addition to this primer, Utecht has set up a website for more information with additional resources and “How To” videos. For download directions to Reach click here. 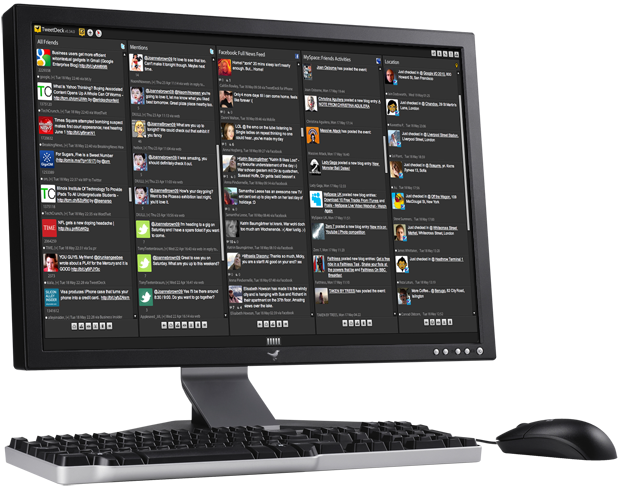 It recently occurred to me that many folks try to use Twitter without Tweetdeck. I find this tool invaluable for tracking multiple Twitter accounts, for adding creating & managing Twitter lists, for following special Tweeters so I don't miss any posts, for easily RT (re-tweeting) and replying with DM (direct messages) & managing @ replies. I also love the automatic url shortening feature. I like to quickly update Facebook via tweets which are fast and automatic. 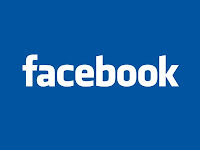 I can also tweet from the news wall of other's Facebook posts that I receive such as the Library of Congress. This tool is a real time saver. They've even added a few new features in the most recent upgrade. Be sure to try this tool to get the most out of Twitter. Educator/blogger Steve Anderson shares today how Tech teacher Suzanne Whitlow made a simple template to creatively engage students in creating Facebook profiles for a Civil War project where students were assigned to create a Facebook-like profile for Civil War generals. "Who would General Sherman’s friends be on a social network?" She shares her Word and Pages templates for this project on her blog post. Anderson shared this idea with a teacher at his school to use as an end of year reflection: "I peaked in while the kids were working. I nearly came unglued. What I was seeing was amazing! The kids were so excited. They were rapidly making color changes, adding text, and inserting pictures. They were talking to each other about the best and worst parts of the year...". "I can’t tell you how perfect this is! 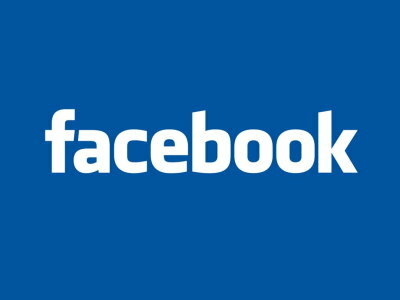 I was thinking of having my seventh graders create a Facebook-style page for the main characters in their lit circle books, but wasn’t sure how to go about it." "I have done a Myspace project with my students the last few years as a culminating project on the Ancient Romans. I was thinking about doing a Facebook version this year and you just made it possible! Thank you SO much for sharing!!!" I love this idea because it can be so easily used across the curriculum. Teachers need to know that librarians can easily support the research aspects of projects like these. Steve Anderson is another educator to add to your PLN. Follow him on Twitter where he is "changing the world, one tweet at a time". Anderson is currently working with staff at Clemmons Middle School in Winston-Salem, NC on a Personal Learning Network project where teachers, administrators, and other school leaders are beginning to build their PLN's through the use of Social Networking tools. 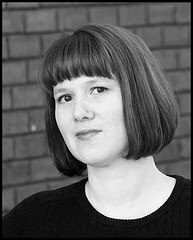 Buffy Hamilton, the Unquiet Librarian contributes to the Libraries & Transliteracy blog. She makes active use of LibGuides pathfinders (150+) and even posts her yearly report on her library homepage. On her blog she posted the top 25 circulating books for the school year. Her website is a good example of the new media ecosystem. Another contributor is librarian Tom Ipri who writes today about Libraries and the New Media Ecosystem . He reviews Lee Rainie's presentation which explores 8 ways that the Media Ecosystem has changed and has affected the way people relate to each other and the way they relate to information. 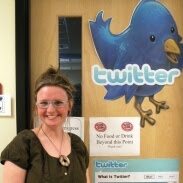 Another writer for the Transliteracy blog is Bobbi L. Newman, librarianbyday on Twitter. Today on her blog she picks up on this topic with a post: What Do You Think Libraries Will Look Like in 2015? Newman pulls together several presentations, videos, and web links to examine how libraries will be changing in the next five years. As we look down the road in decision making we need to pay attention to those who envision the changes we'll all eventually be living with. Following them on Twitter is part of my professional development plan for the summer months. Another goal is to really absorb/follow David Warlick's CoLearners Wiki. It is an amazing resource for thinking about student learning. Read his post about Long-Tail Libraries. It speaks to how libraries can address learner's needs by "harnessing today's information environment" and "teaching them how to teach themselves". Have You Tried bubbl.us! ?? 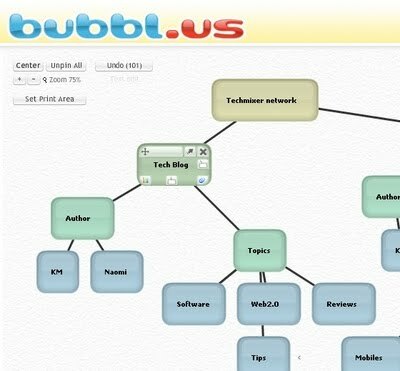 bubble.us is a simple and free web application for brainstorming. Press TAB to add bubbles next to the one selected. The help area on the right hand side helps you as you go along. You can save, print and export your sheets.